Dieting is unlikely to lead to long-term weight loss and may put a person’s health at risk, a study says. US researchers found people typically lose between 5% and 10% of their weight during the first six months of a diet. But the review of 31 previous studies, by the University of California, said up to two-thirds put more weight on than they had lost within five years. Repeatedly losing and gaining weight is linked to heart disease and stroke, the American Psychologist journal reported. Lead researcher Traci Mann said: “We found that the majority of people regained all the weight, plus more. “Diets do not lead to sustained weight loss or health benefits for the majority of people. “We concluded most of them would have been better off not going on the diet at all. And she added some diet studies relied on participants to report their weight rather than having it measured by an impartial source while others had low follow-up rates which made their results unrepresentative. She said this might make diets seem more effective than they really were as those who gained weight might be less likely to take part in the follow-ups. In one study, 50% of dieters weighed more than 4.99kg (11lbs) over their starting weight five years after the diet. The study did not name any diets in particular, but looked at a broad spectrum of approaches. Professor Mann said in her opinion eating in moderation was a good idea for everybody as was regular exercise. 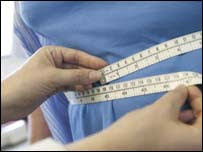 Dr Ian Campbell, medical director of Weight Concern, said too many people approached dieting as a short-term measure. “Keeping weight off is a life-long challenge. It is just like heart disease or mental health problems, if you stop taking your medicine you can get worse.